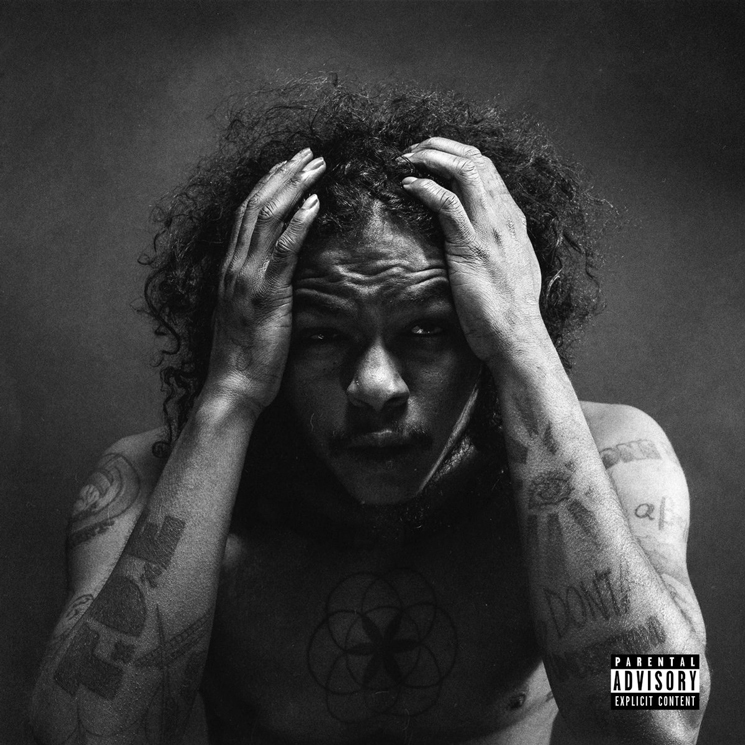 The arrival of two new singles from Ab-Soul these past few months had many wondering if a new project from the Top Dawg Entertainment MC was on the horizon. Now, the cover art and a proper release date for the rapper's first record since 2014 have been revealed. UPDATE (12/06, 4:57 p.m.): The record's tracklist has been revealed. Running 16 songs in length, DWTW features contributions from Zacari, Bas, Da$h, Kokaine, BR3, ScHoolboy Q, Teedra Moses, Javonté, SZA, Mac Miller & Rapsody. You can find it in the tweet below. As many had speculated online, the album will be called DWTW (believed to be an acronym for Do What Thou Will), and will arrive through the label this week on December 9. The details were revealed by TDE boss Anthony 'Top Dawg' Tiffith on Twitter this afternoon. The news also included the album's cover art, which you can see above. A black and white portrait sees Ab-Soul with head in hands, his trademark sunglasses notably absent. A third track from the record was also shared by Ab-Soul himself. Titled "Threatening Nature," the dark, minimal track was produced by PakkMusicGroup. DWTW's arrival was preceded by the release of two singles in "Huey Knew" and "Braille." The record's arrival will mark Ab-Soul's first release since his sophomore LP These Days arrived in 2014. More recently, he also chipped in a verse of his own on Danny Brown's posse cut "Really Doe" alongside TDE labelmate Kendrick Lamar and Earl Sweatshirt. While we await further details on DWTW, hear "Threatening Nature" in the player below.